- New Turkey Distribution Network in the USA: They said it couldn’t be done! New Turkey Distribution Network in the USA: They said it couldn’t be done! 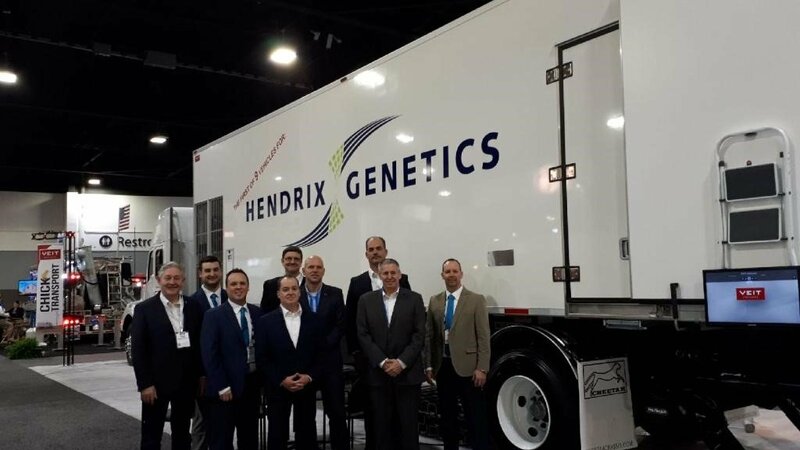 With the demand for higher quality turkey products in North America, Hendrix Genetics invested in and launched a new commercial distribution network. In 2017, we announced we would invest in a new distribution network, allowing commercial turkey growers the opportunity to purchase Hybrid Turkeys genetics direct from the primary breeder. Despite what some thought to be impossible timelines, on January 1, 2019, we delivered. This investment, estimated at approximately $70 million, offers turkey growers a reliable pipeline for high quality, high health Hybrid Turkeys products. This distribution network includes new and updated breeding farms, new hatcheries, a new transportation fleet, and more resources in all areas of operations. 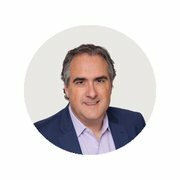 For genetic progress to effectively flow through the value chain, the right facilities, skilled team members, and well-planned processes must be in place. 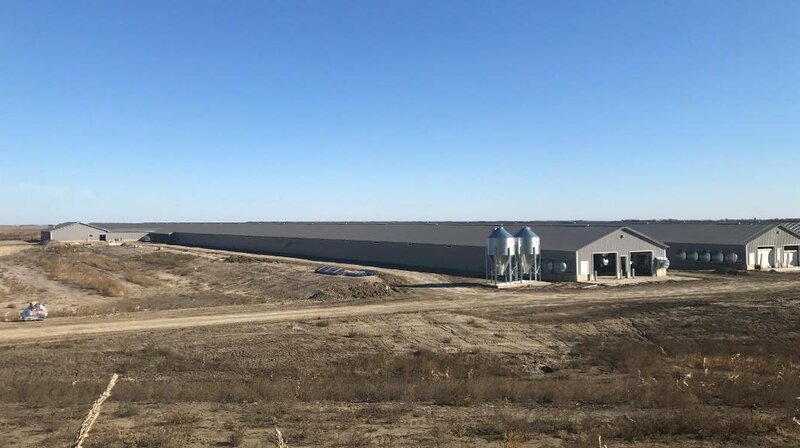 The Hendrix Genetics parent stock hatchery in Nebraska was completed in October 2017. 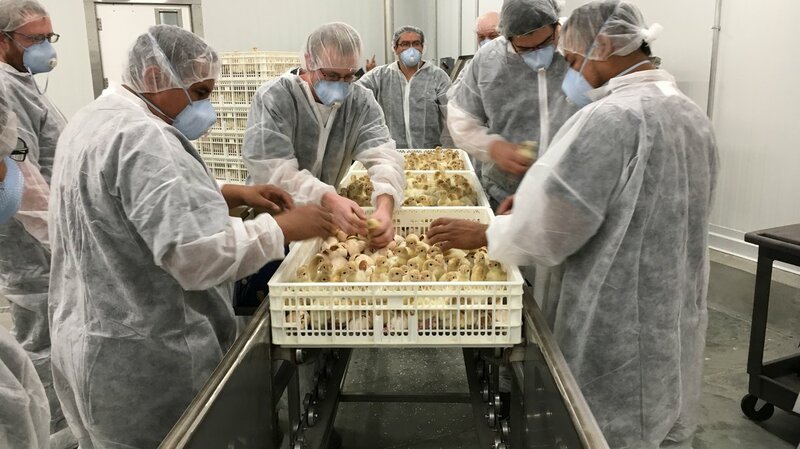 With a 6.6 million egg capacity sourced from salmonella free flocks in Nebraska, Kansas, and Canada, this was the first completed deliverable of the new distribution network. 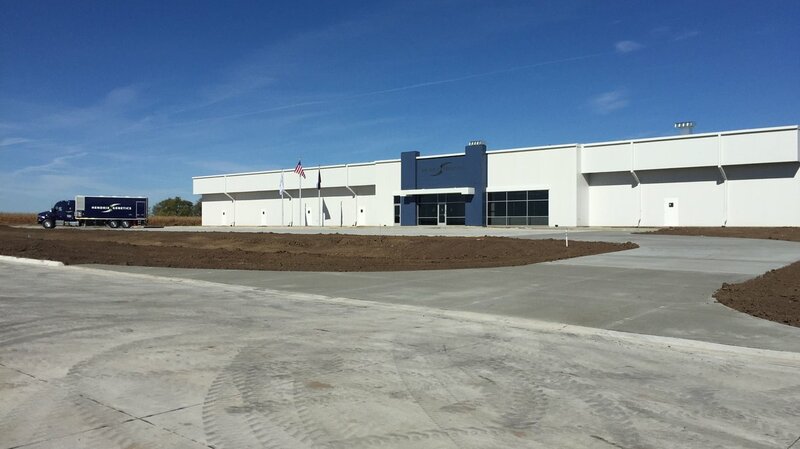 Following this, the commercial hatchery in South Dakota was completed in November 2018. Despite tight timelines and extreme temperatures, this hatchery went from breaking ground to operational in just over 1 year. Today, poults have already been delivered to farms all over the country. 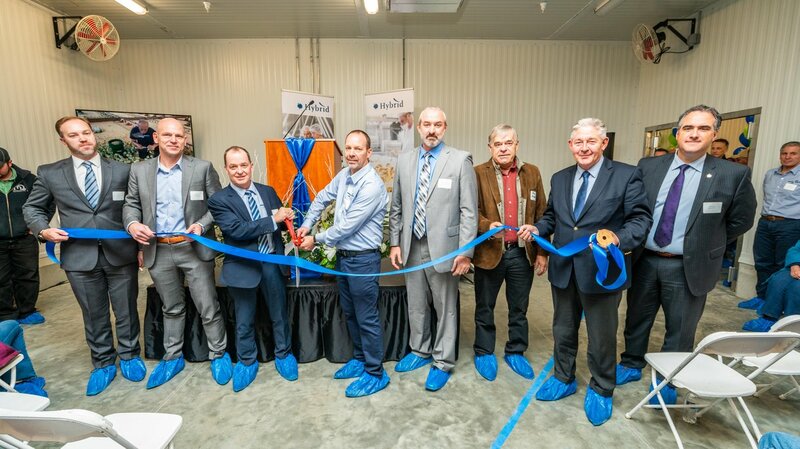 A grand opening was held in November 2018 where representatives from the turkey industry, local government, and the community gathered to celebrate and tour the new facility. The hatchery has a 35 million egg capacity and features leading technology in robotics and automation from Zoetis and incubation and hatching equipment from Petersime. Breeder farms are an important piece of the distribution network to ensure top quality eggs are supplied to the hatcheries. Quality does not start when the poult is delivered, it begins much earlier. The new and updated farms are set up with modern equipment and high biosecurity standards in mind to offer optimal health and safety for the turkeys as well as employees. The facilities included in the new distribution infrastructure are a combination of owned and contract partner farms and are situated in close proximity to the hatcheries. 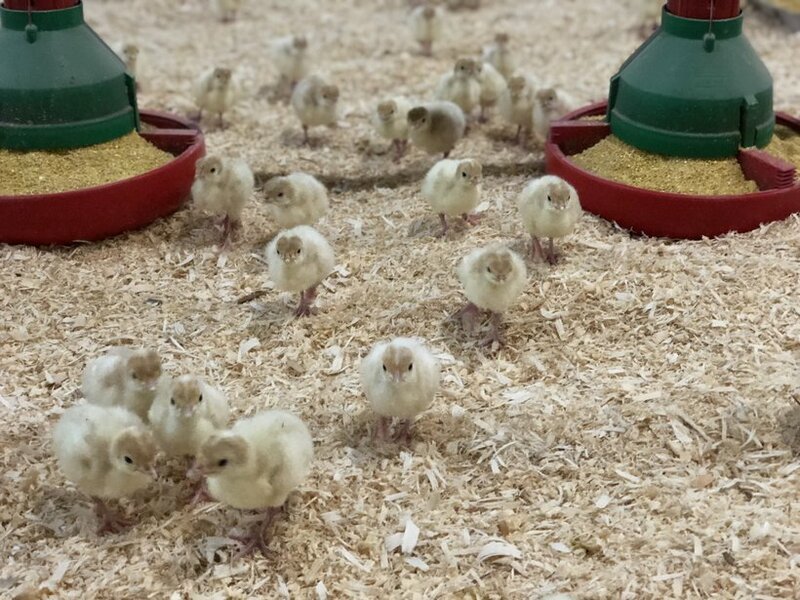 With extreme temperatures, unpredictable traffic patterns, and long distance travel, poults depend on efficient and reliable transport technology to ensure a comfortable ride from the hatchery to the farm. Pictured is the first of the new transport fleet unveiled at IPPE 2018. Today, Hendrix Genetics trucks are on the road, delivering poults to farms all over the country. Our partners, Veit and Heering, offer advanced climate control, hygiene management, and operational reliability. With effective climate control, the transport fleet maintains proper temperature and humidity so that poults are healthy, strong, and ready to grow to their full potential. No new venture can succeed without a pool of talented people at the center. The expansion in the US has resulted in the creation of many new jobs to operate our hatcheries, farms, logistics, and health and quality management. Our position in the USA, with our innovative distribution network, is stronger than ever. With the completion of our commercial hatchery and the new farms and logistics to support it, we are able to provide the market with the superior quality products and support that it deserves. 2019 is just the beginning of what’s to come. Are you going to be at IPPE 2019? Visit us at booth #C11311 to learn more about the turkey distribution network.